The Lady Dinos were on the road on Tuesday to take on the Union Cougars. After a close opening quarter, Carbon had the lead, 12-9. The Lady Dinos outscored the Lady Cougars in the second by 10 points to go into halftime up 25-12. Union battled back in the third quarter and scored 15 points to reduce the deficit to 37-27. Carbon kept Union at bay in the final period to seal the 53-40 victory. Sophomore Mekenna Blanc had team highs in points and steals with 18 and five, respectively. Junior Abbie Saccomanno followed with 12 points and a team-high six assists while Jodi Noyes led the team with five rebounds to go along with 10 points. The Lady Dinos had 13 assists and six different Dinos recorded at least one steal for 12 total in the contest. Carbon shot 47% from beyond the arc on 15 attempts. 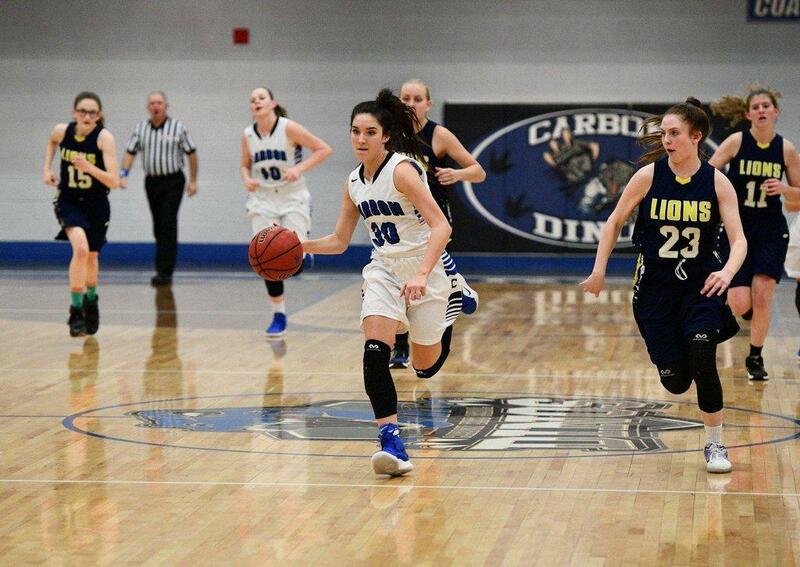 Carbon (18-2, 11-0 Region 14) hosts its last game of the season on Thursday night. The Lady Dinos will look to complete their perfect record in region when they welcome ALA (3-13, 2-9 Region 14) into Price for senior night. The game can be found live online and on ETV Channel 10.